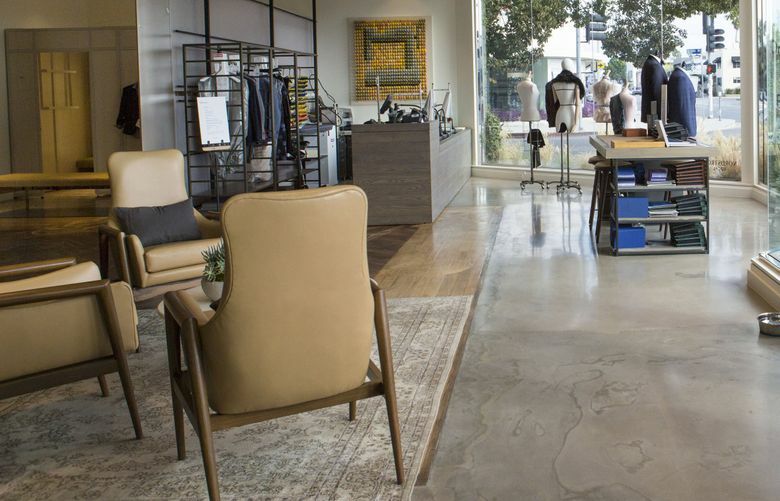 The boutiques are part of the retailer's local-market strategy, providing an expanded array of services and shopping options to Los Angeles customers. Known best for its large department stores, Nordstrom is finding success in its biggest market, Los Angeles, with a small-format store that offers high-touch services for nearby customers who might start their shopping online. The Seattle-based retailer said two more Local stores will open, in Brentwood on Friday, and in downtown L.A. on Oct. 12. They offer pickup of online orders, fitting rooms to try on items reserved online, personal stylists, tailoring, dry cleaning, returns, refreshments and other services — but no inventory that someone walking in off the street could purchase. The Local stores, the first of which Nordstrom opened almost a year ago in West Hollywood, are part of a new geographically focused strategy the company is implementing in its largest markets. Alongside revamped flagship stores, an enhanced mobile app and new distribution infrastructure, they represent Nordstrom’s investment in full-service, high-end retail whether physical or digital. In the sprawling L.A. market, Nordstrom counts some 4 million customers, 16 full-line department stores and $1 billion in 2018 full-price sales. The Local stores provide customers access to Nordstrom fashions and expertise closer to their homes, said Shea Jensen, Nordstrom senior vice president of customer experience. “We’ve heard from our customers that in an incredibly digitized world, time matters a lot,” Jensen said. She described the Local store in West Hollywood as a “neighborhood service hub” and said the majority of customers have come from within a two-mile radius of its location on Melrose Place. Jensen said customer demand will dictate how many Nordstrom Locals a market like Los Angeles can ultimately support. Company executives told investors this summer that they plan to expand the local market strategy in 2019 to New York City, where Nordstrom opened its first department store in April, for men, and plans a grander store for women next fall. The focus on these top-tier markets, Nordstrom executives believe, will allow the company to gain market share faster, use capital more efficiently and grow sales and profit faster than in other markets. Jensen would not comment on any plans for Local stores in New York. More retailers are experimenting with small physical store formats that integrate tightly with their array of online commerce offerings. Amazon introduced a store in New York City on Thursday that carries an inventory of items with high online ratings. Nike opened a store in West Hollywood in July focused on services and with a limited inventory informed by what its customers in adjacent zip codes are favoring on its mobile app. Nordstrom, too, is providing special services to customers in select Los Angeles zip codes, allowing them to see the inventory at nearby stores that can be picked up or delivered within a day through a new feature of its mobile app and website.